Click on any picture to view larger image of that picture. 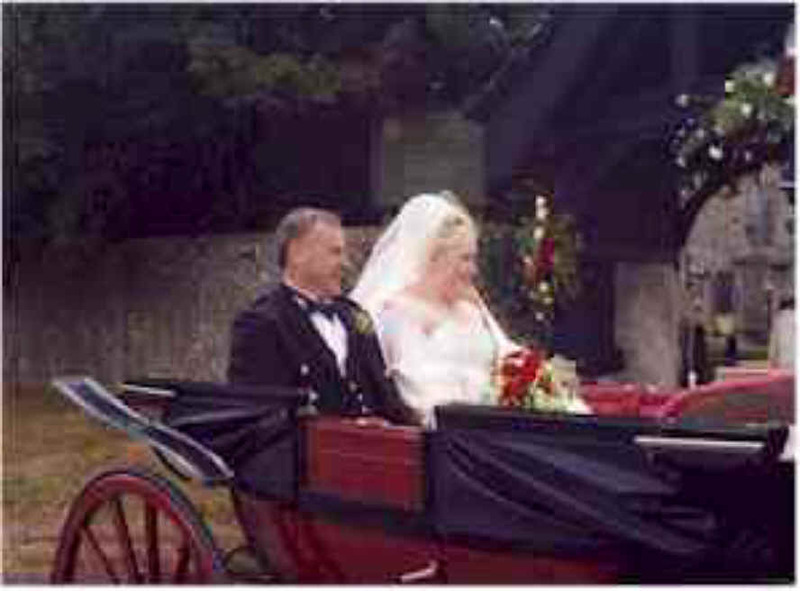 Then click on back arrow to return to this page. 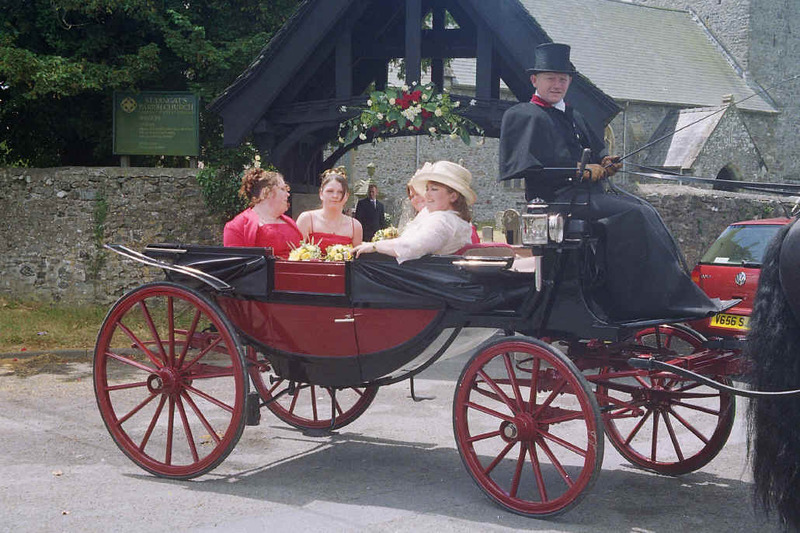 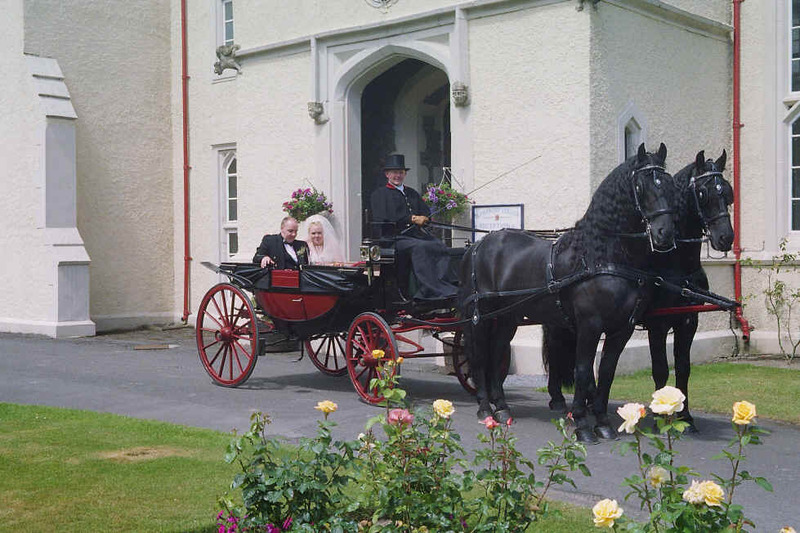 An elegant original Sefton Landau, built in 1891 by Offord & Sons of London, pulled by a pair of handsome Friesian Stallions, make a stunning compliment to your special day. 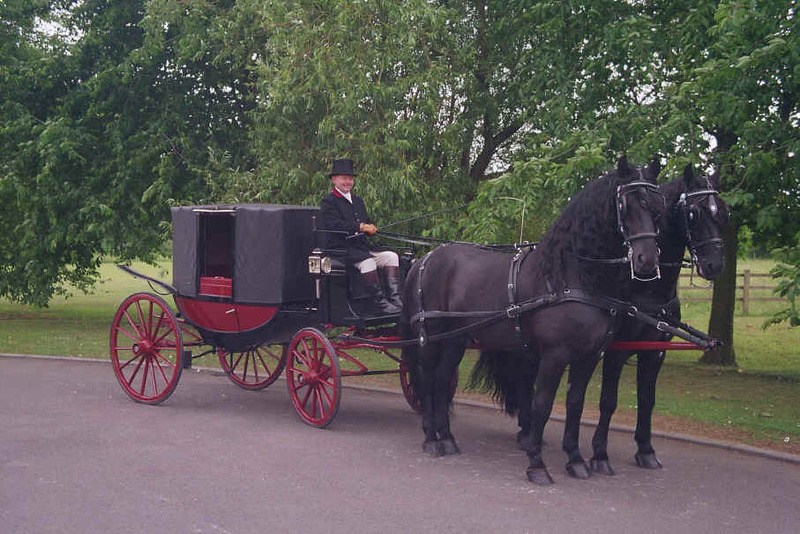 The Coachman and Groom are dressed in traditional livery, complimenting the colours of the carriage. 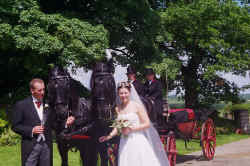 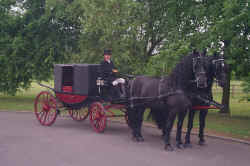 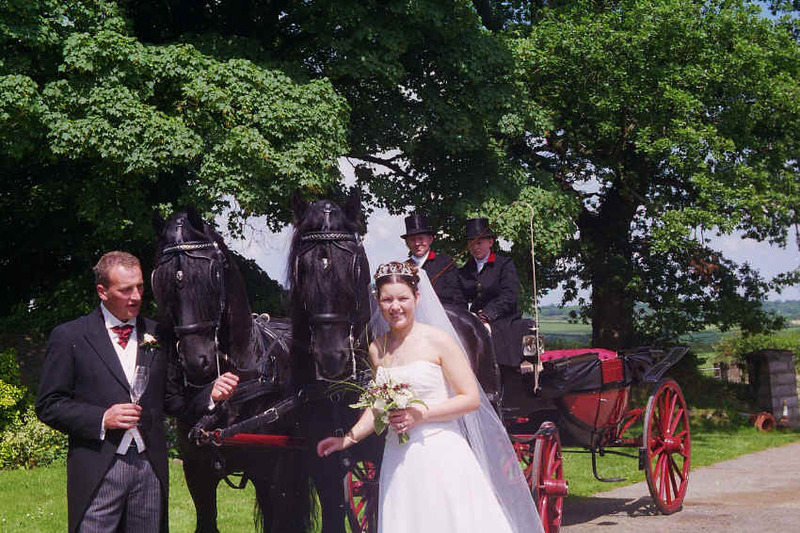 You are cordially invited to view the carriage and horses when we will be pleased to answer any questions you may have.